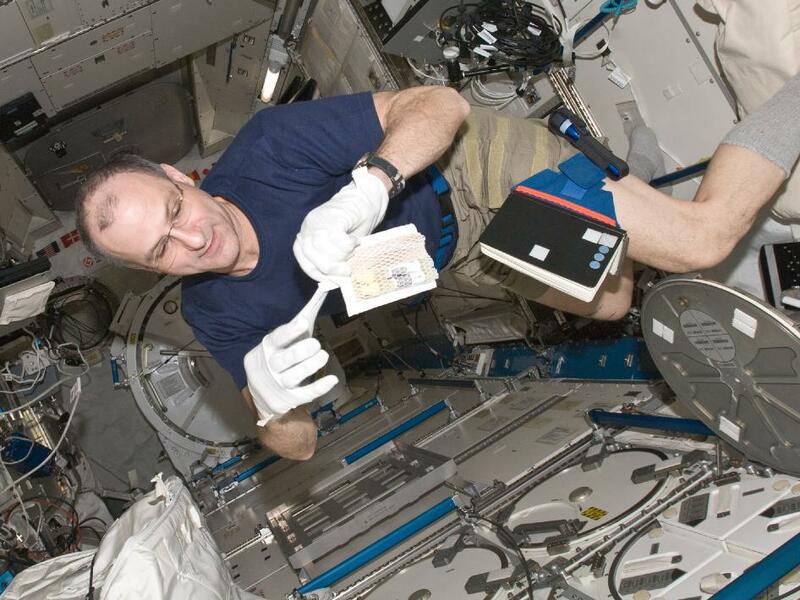 Astronaut Don Pettit, who returned from 6 months aboard ISS on July 1, prepares a biological sample for the freezer (Credits: NASA). Those upgrades generally fall into two categories: equipment that can improve experimental measures in space and those that permit greater downmass capability. In the former category are improved video capability to record fluids and combustion research. In the latter, NASA plans to use SpaceX’s Dragon to trundle lockers to and from ISS along with redesigned freezers to store specimens between flights. There are also plans to improve communication capability so that researchers can more easily reach the astronauts performing their experiments. “Today we have two comm channels to talk to the crew,” Suffredini says. “That is always busy. So we’re adding two additional comm channels in order to increase our capability to have multiple payload-specific conversations with multiple crews at one time.” In addition to the extra channels, the station will get a bandwidth boost, doubling downlink to 300 mbps and increasing uplink to 25 mbps. Aside from restoring ISS’s downmass capability, lost with retirement of the Space Shuttle, commercial craft like the Dragon will also require some upgrades of their own. One particularly critical modification will be the installation of International Docking Adaptors that allow NASA Docking System (NDS) spacecraft to dock at Russian ports on ISS. The commercial craft will be the first to utilize NDS, a result of a 2011 International Docking System Standard agreed upon among the ISS partners.